Code generation creates and updates source files in a Java project from UML models. 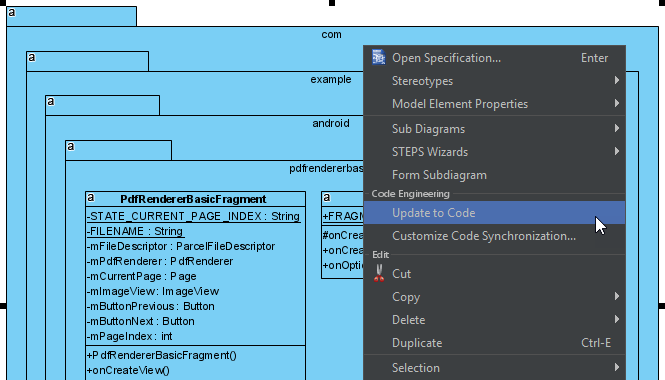 You can select to update the whole project, package(s) and class(es) from Visual Paradigm to Android Studio. Before updating source files, you must open the UML project from the Java project. Click in Android Studio toolbar. Click at the top of Diagram Navigator. 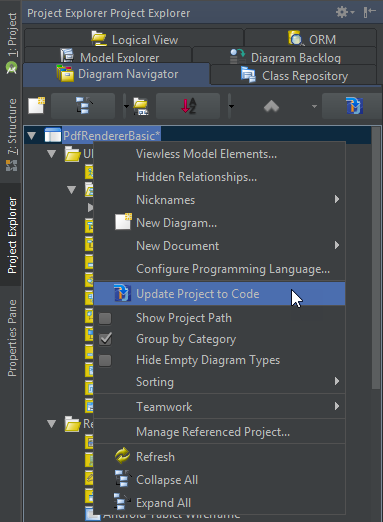 Right click on the root node of Diagram Navigator and select Update Project to Code from the popup menu. 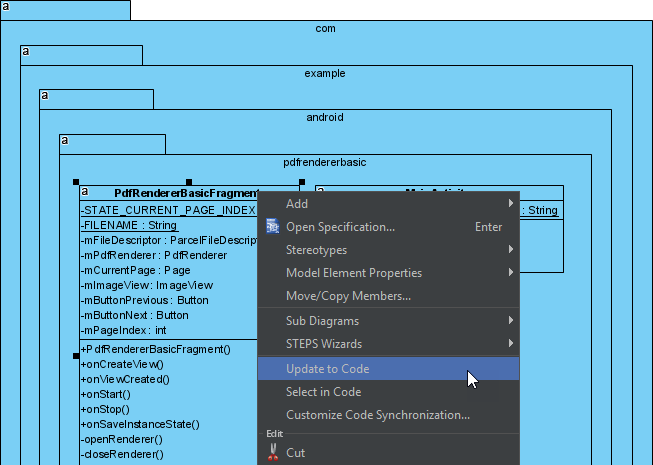 Right click on the package in any diagram and select Update to Code from the popup menu. Right click on the package under Diagram Navigator/Model Explorer/Class Repository and select Update to Code from the popup menu. Right click on the class in any diagram and select Update to Code from the popup menu. Right click on the class under Diagram Navigator/Model Explorer/Class Repository and select Update to Code from the popup menu.